Increase the Effectiveness of your Topical Skin Care by 200%. Without the aid of the Home-Care Dermaroller, only a minor fraction 0.3 % of the active ingredients in your favorite skin creams can penetrate the surface of your skin. 99.7% is wasted. 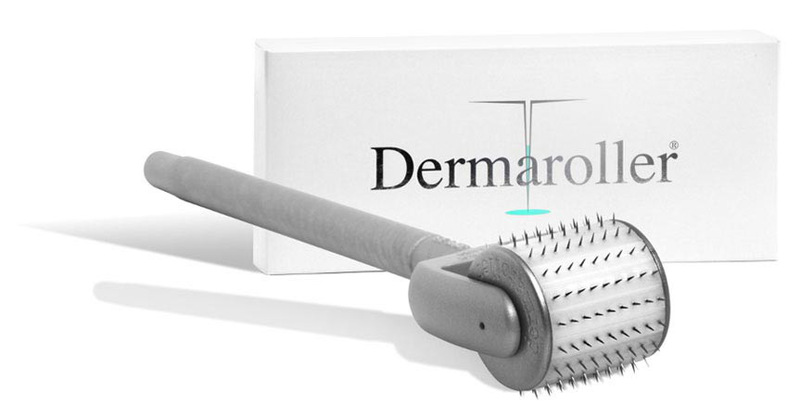 The Home-Care Dermaroller enhances the removal of dead skin scales. Exfoliation stimulates new skin cell production. The Home-Care Dermaroller’s quality micro-needles provide another desired skin benefit: It thickens your uppermost skin layer by an average of 30%. You’ll notice visibly softer, more youthful, radiant skin with a finer texture. Isolated disorders and inflammation such as acne are often caused when old, sticky scales of the thinner outermost layer of the skin block the oil and sweat glands. As The Home-Care Dermaroller rolls across your skin, the roller’s fine needles mechanically remove these “blockers.” This keeps the oil and sweat glands open. As a result, pores shrink in size and skin health improves.